NEW YORK (AP) ― Cork. It’s not just for wine stoppers and bulletin boards anymore. Designer Elaine Turner is a proponent of cork, which is renewable, feather light and water-resistant. 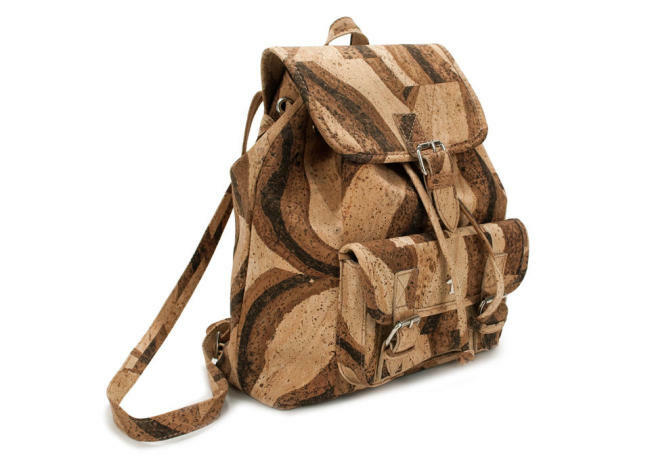 So is Ingrid Heinkel, who imports cork accessories ranging from men’s wallets to a woman’s backpack in a tiger stripe design. Cork is popping up in umbrellas, simple apparel items like shawls, watchbands, bracelets, necklaces, hats, belts, golf bags and shoes, shoes, shoes ― moccasins, flip-flops and Superga sneakers with neon flecks to Jimmy Choo wedges and Badgley Mischka stilettos. “I think we’re in a very natural vibe right now, and a very green vibe. Cork works with that. It’s just something unique. This season it has really hit its high point,” said Alison Minton, who blogs about accessories at Accessorygeneration. While Minton sees cork as a seasonal item for spring and summer, Heinkel went so far as to declare: “Cork is the new leather.” Farfetched? 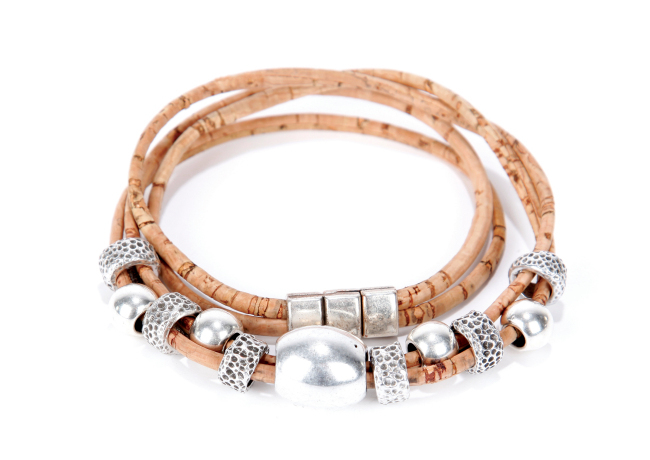 In a recent interview, she called cork in accessories an emerging market. Spas and the shops of wineries and museums are big customers for Heinkel, but her most popular item online at Shopcorkdesign is a hobo handbag in a natural blond grain. Turner uses a manufacturer in Spain, a part of the Mediterranean where most of the cork supply comes from. Daniella Ohad, a home design historian, estimated that 60 percent of all cork production is for the wine industry, though the World Wildlife Fund has warned that plastic alternatives to cork wine stoppers may threaten cork oak forests of Portugal, Spain, Algeria, Morocco, Italy, Tunisia and France. While cork may be having a fashion moment, it has lost momentum elsewhere. “You really don’t see cork being utilized in very sophisticated design in furniture,” she said. “In the ’20s and ’30s, architects discovered cork and it was the perfect material for modernism because it was clean and it was very different. It had a very special surface to it and texture to it,” Ohad added, noting another spurt as a material in 1950s home design. “It’s not heavy on the foot. It’s great for the beach. It looks good if you’re walking in the city,” she said. And it transitions well, when dolled up with metal fittings and other touches, from day to evening. The Houston-based Turner, who just opened her seventh store and the first in New York about six months ago, is considering expanding her cork offerings into jewelry.